The Essar Steel’s debt resolution battle has moved to the Supreme Court with State Bank of India (SBI) moving the highest court against the NCLAT (National Company Law Appellate Tribunal) advice to give more cash to Standard Chartered Bank (SCB) – which has made a claim of Rs 3,487 crore against the company. The SBI action came just days before the NCLAT was to hear the outcome of the CoC meeting on April 9th. During the NCLAT hearing, the State Bank of India had said as Standard Chartered Bank is not a secured creditor, it should not be allowed to make any additional claim from ArcelorMittal’s Rs 42,000 crore offer. Standard Chartered Bank had informed the tribunal that it is only getting 1.7 per cent of its dues or Rs 60 crore while other lenders are getting 92 per cent, based on ArcelorMittal’s payments plan. But State Bank of India, had opposed giving equal treatment to StanChart, saying the bank is not a secured creditor as its loan was not to Essar Steel directly but to a promoter entity. In July 2 last year, Standard Chartered Bank had asked the resolution professional of Essar Steel that its claim of Rs 3,487 crore, pertaining to its loan to Essar Steel Offshore Limited (ESOL), should be reclassified from unsecured to a secured one on the basis of share pledge made by the promoters. It said the corporate guarantee for the loan was provided by Essar Steel for the ESOL loan. The RP agreed to SCB’s claim to be converted into a secured one based on security of pledge of shares. But on 31 August last year, Essar Steel’s lenders led by SBI, ICICI Bank, IDBI Bank, Edelweiss ARC, Canara Bank, Bank of Baroda, Union Bank of India, Bank of India and Punjab National Bank objected the re-classification of Standard Chartered Bank loan from unsecured to a secured one. The lenders expressed their objection on SCB being a financial creditor on grounds of execution of guarantee without obtaining no objection certificate (NOC) from them, based on which, the lenders said, the SCB's claim is invalid, unsustainable in law, ultra vires and far beyond Essar Steel's powers and authority. In this regard, a reply letter dated 10 September 2018 was sent on behalf of the RP mentioning that the RP will suitably record the objections (as set out in the said letter dated 31 August) in the list of creditors of ESIL. 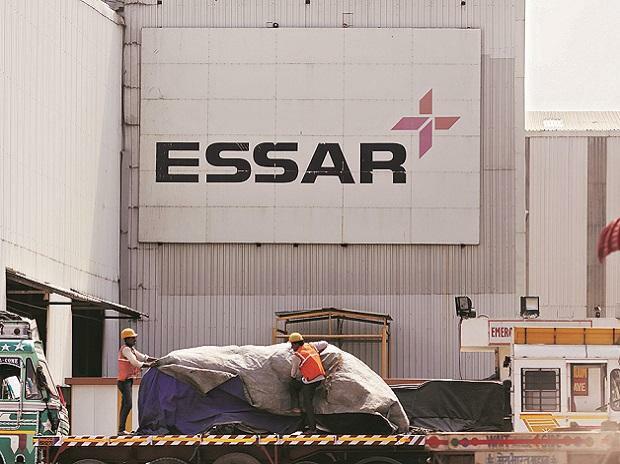 Interestingly, last week 70 per cent of the lenders agreed to set aside Rs 1,000 crore more for the operational creditors of Essar Steel as against Rs 200 crore earmarked earlier, as per ArcelorMittal’s debt resolution plan. This plan, however, excluded Standard Chartered Bank. Essar Steel’s operational creditors have made a claim of Rs 4,700 crore against the company. The NCLT’s Ahmedabad bench had earlier ordered that lenders must share 15 per cent of ArcelorMittal’s upfront cash with operational creditors while the rest can be distributed to the lenders. Essar Steel was sent for debt resolution in June 2017 after the company failed to repay its debt worth Rs 54,000 crore to Indian banks.